This Halloween (and pretty much every Halloween), I am the house at Halloween that doesn't give candy. 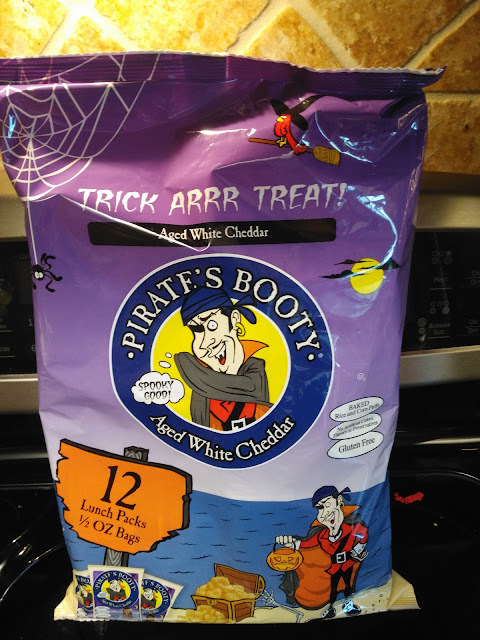 I prefer to give non-candy for Halloween or a more healthier but still delicious snacks like Pirate's Booty to the trick-or-treaters in our neighborhood. I love that these snacks are gluten-free so I don't have to worry about hurting any children with gluten allergies and there is no artificial flavors, colors or preservatives so it is a MUCH BETTER option that most candy being handed out on Halloween! I know I would rather my children have Pirate's Booty than candy filled with dyes, artificial ingredients and high fructose corn syrup. Plus, Pirate's Booty has these really cute Halloween inspired 1/2 oz snack bags so they are perfect for handing out on Halloween night or at any Halloween party this year! My son even took these as the class treat for his recent birthday and they were a huge hit! 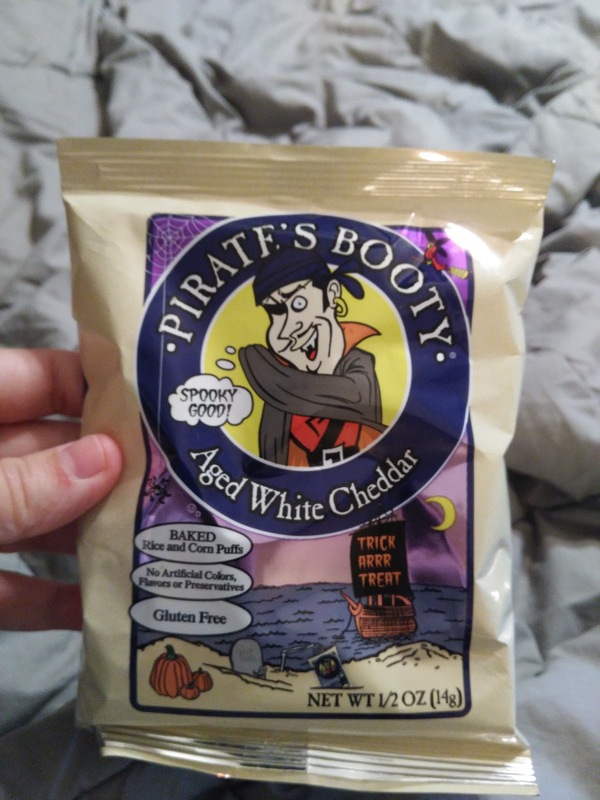 Pirate's Booty is a great snack whether for Halloween, school snacks, or even when this Mommy wants something tasty to snack on when the kids go to bed! You can purchase Pirate's Booty limited-edition Halloween packaging at your local grocery store.